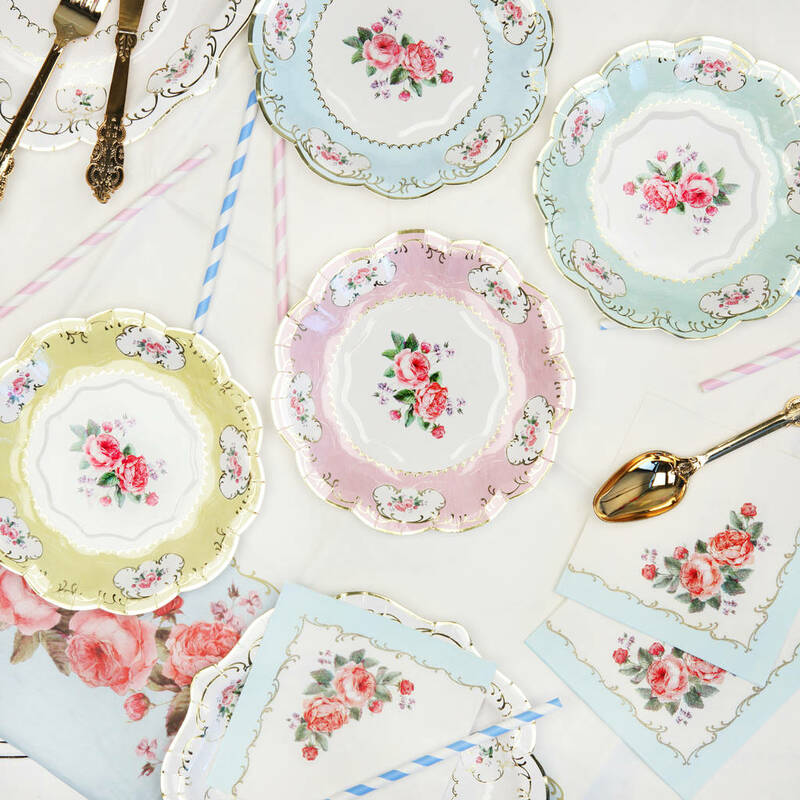 Add some charm to your celebration with these beautiful vintage style paper plates, perfect for weddings, hen parties, baby showers and afternoon tea. 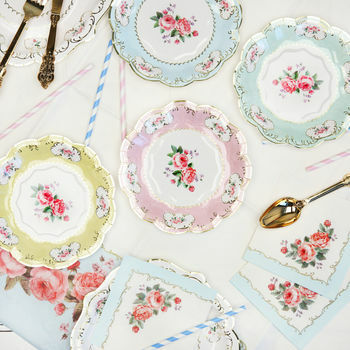 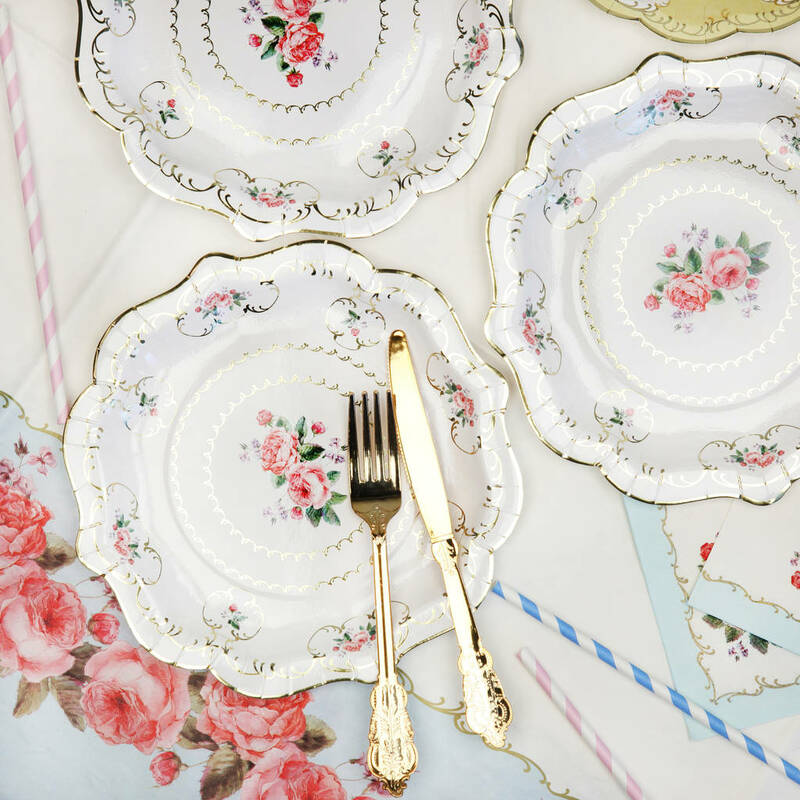 Whether you're hosting a hen party, a baby shower, birthday or wedding, these vintage style paper plates, embellished with foil are the perfect addition. 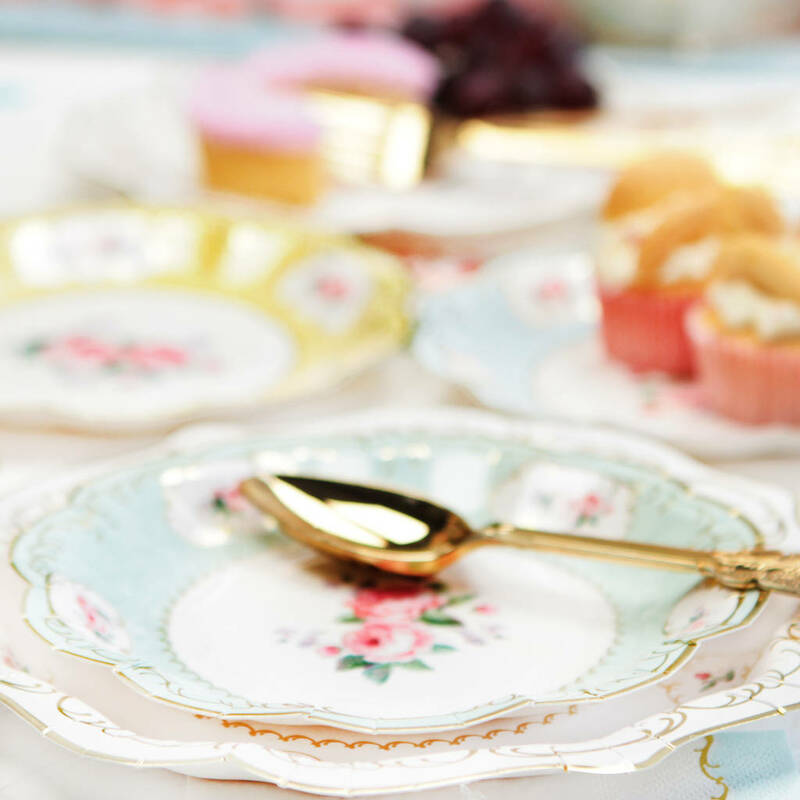 The plates come in two sizes - 12 x small plates in four different colours, or 8 x medium plates in a classic off white colour. 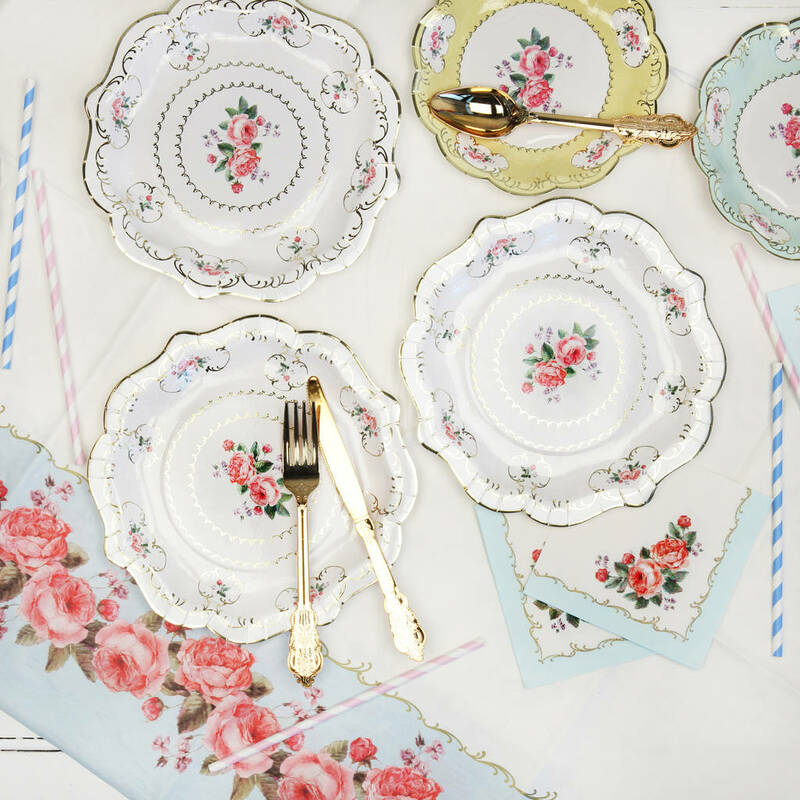 Compliment the plates with the napkins, gold disposable cutlery, the cake stand, bunting and table cloth to complete the look! 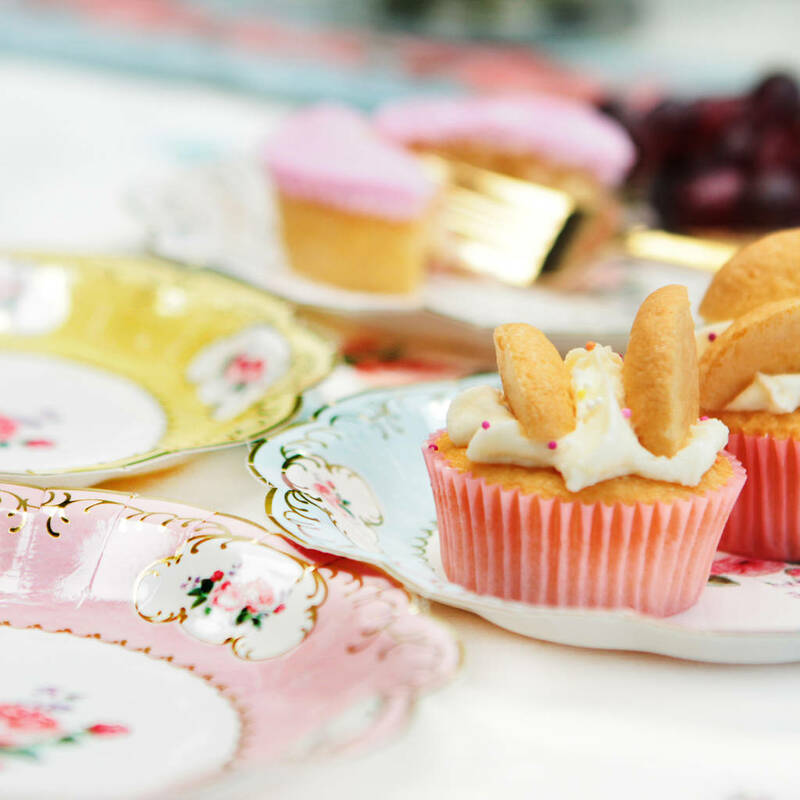 Dainty paper plates, available in two sizes.